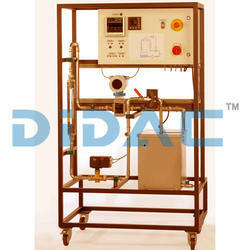 With thorough understanding of the relevant industry, we are instrumental in providing world class Flow Control Trainer. Hand Operated Valves: Quantity : 1 nos. Electro-Pneumatic Converter: Input : 4-20mA, Output : 3-15 PSI. Technology Exchange Services Pvt. Ltd.
- System controls ON-OFF through PID. - Pre set levels can be Auto tuned. 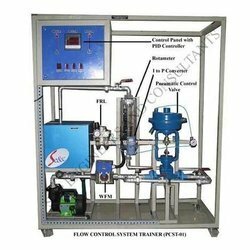 We are a unique entity in this industry, actively engaged in offering a premium quality array of Flow Control Trainer.